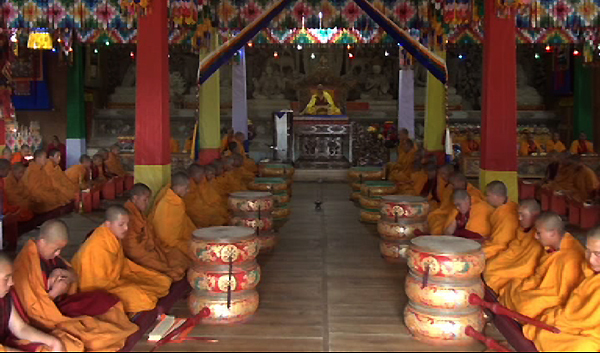 His Holiness the Je Khenpo is presiding over a nine-day Dramar Drupchen at Namdruling Goenzin Dratshang in Lhuentse. The prayers are to mark the 60th Birth Anniversary of His Majesty the fourth Druk Gyalpo and His Holiness the Je Khenpo. Hundreds of devotees from nearby villages have gathered to offer prayers and receive blessings from His holiness. The Drupchen will end on Thursday.